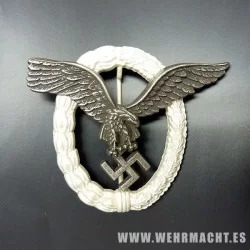 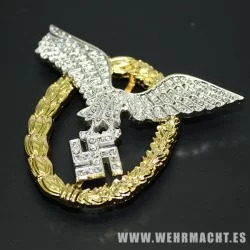 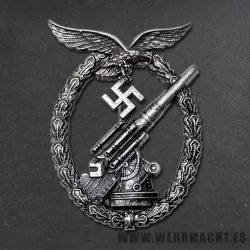 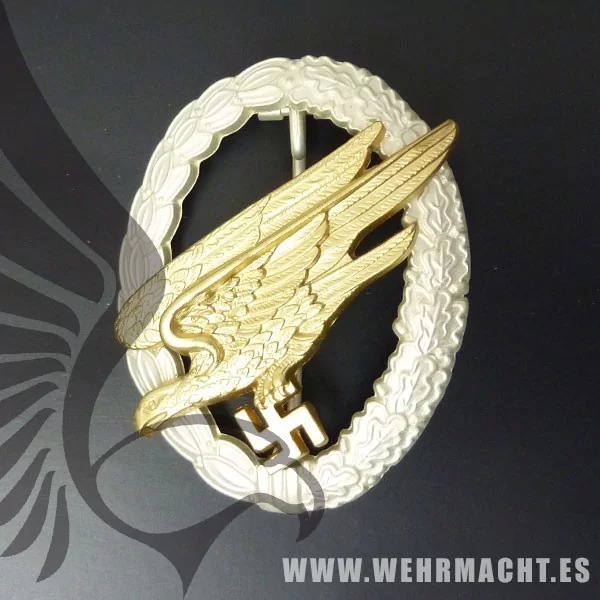 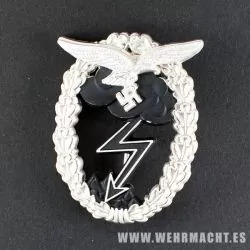 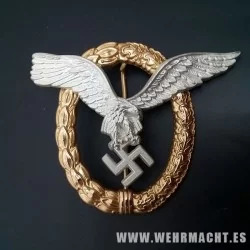 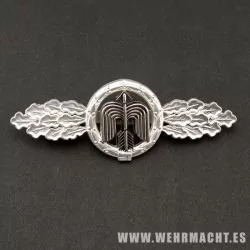 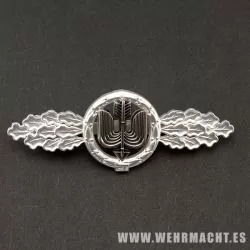 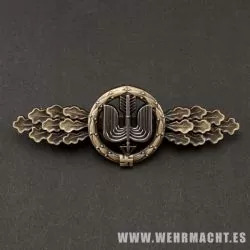 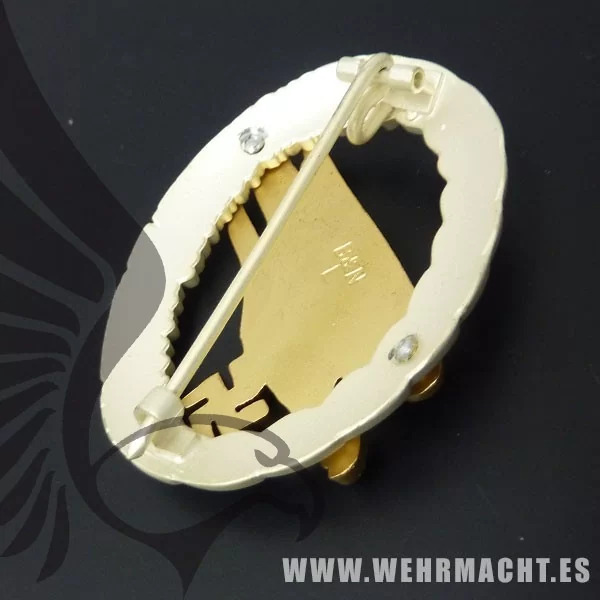 Luftwaffe Paratroopers badge. 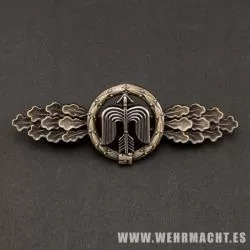 Mid war type in zinc. 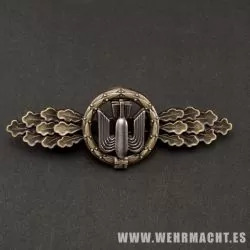 Correct two piece riveted construction with semi blackened wreath and gilt. 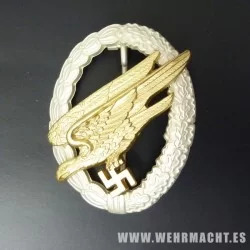 Complete with maker's name on reverse correct style needle pin.